Photogs Unite! 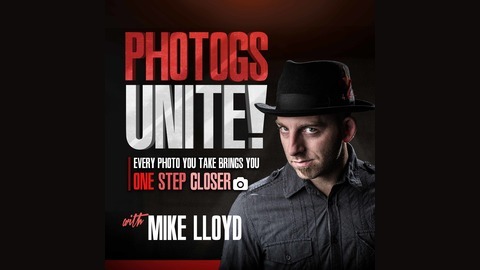 Podcast will teach you how to run a successful photography business. Now here's the crazy part... I don't interview photographers. Let's step outside the echo chamber of the photography industry and learn business, marketing, sales, branding, and everything else we need to know, from experts who have dedicated their careers to mastering their profession. Just. Like. You. 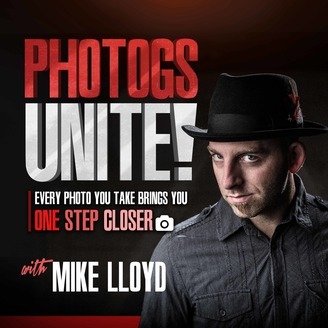 Join me, Mike Lloyd, each week as I chat with coaches, influencers, and professionals while we drop knowledge bombs all over our industry. We'll help YOU take your photography and photography business to the next level. Hey Photogs! Now that you have a badass LinkedIn profile, it's time to start making some money with it. We give you the step by step to find new connections, build relationships, and book clients without being a spammy pest. It's not as hard as it might seem, you just have to put a little time in to it. Sarah is an internationally recognized LinkedIn Specialist & Online Presence Mentor who has personally coached over 1,900 entrepreneurs. She helps them position themselves as experts on LinkedIn so they get clients with ease. In addition, Sarah is known for helping fellow introverts market their business authentically & anxiety-free, sell their services & make a difference. She’s also the host of the ‘Introvert Biz Growth’ podcast where she has conversations with introverts who have grown their business using their introverted super powers. When she’s not working, she loves adventure & traveling, yoga & nature walks or hanging out with her 3 boys.